What does it mean to be a Polyglot? IWTYAL 177: What does it mean to be a polyglot? In this episode, Olly gives his thoughts on what it means to be a polyglot. Thank you so much for joining me here, we have been getting a lot of new listeners recently. So, if you are new here then welcome. We talk about language learning here. So, whether you are learning your first language your fifth language or maybe you haven’t even started yet and you're wondering what is the point of learning a language. Hopefully this show is going to give you lots of inspiration and food for thought. We have two episodes a week, so don't forget to subscribe on iTunes or Stitcher Radio or wherever else you listen so that you get those episodes delivered straight to your device, or your computer and whatever you use. 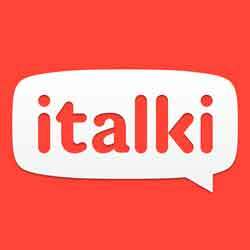 We have a fantastic sponsor for the show who are italki and italki is a place where you can get language teachers. They have teachers from all over the world, professional teachers who are also extremely affordable. So, if you would like to get a free lesson then you can go to iwillteachyoualanguage.com/freelesson. So today is going to be a solo episode. Someone made a comment recently along the line of, “Olly its cool when you answer people’s questions but I also quite like it sometimes when you just talk about stuff”. Which is funny because then the next day someone said to me, “You know Olly you just talk too much”. So, it is difficult to know what to do. But recently I've been doing a lot of answering questions and so I thought I would take a step back today and talk about a very broad topic which is very personal to me and I think very relevant to everybody who listens to the podcast. Which is what it means to be a polyglot. I was just having my hair cut earlier on today and I was talking to Annetta, who cuts my hair, and she was telling me about her son. So, she is Polish the kid’s dad is Nigerian. So, the kid is growing up speaking English and Polish at home. She was telling me about how he speaks pretty good Polish her son, but recently he has been going on trips by himself to Poland to stay with his grandparents and he has been picking up a lot more detail in the language. As I understand it Polish is quite a complex language grammatically and he has often just growing up at home not quite grasped these grammatical concepts as a kid, which is fair enough he is just a kid. But she has noticed that since he has been spending quality time in Poland he's been speaking a lot more accurately. And the reason that this was interesting to me was because in the kind of world that I inhabit, I grew up as a monolingual. I only spoke English until I was an adult. And so, learning languages for me has kind of held a certain fascination. It is something that I really enjoy above and beyond all else, it is just something I like. But this conversation has really struck me because it made me think that actually languages mean so many different things to different people. For her son to grow up speaking Polish is a kind of primal need. Polish is her language and although her English is fantastic she knows the she will probably never totally master English because it is not her native tongue. But she really wants her son to grow up speaking Polish. It’s a very different desire to have this kind of need for your child to grow up speaking a language. To my desire to pick up Thai because I think it would be fun. It’s such a very different thing. And it struck me really in this conversation that there is so much more at stake for this person. The language carries so much more meaning and importance far more than for me I'll ever know, I don't know what it is like to grow up with family members or heritage in a different language. I have no knowledge of that, I can guess what it’s like but I ultimately don't have that kind of cultural necessity requirement imperative in my own life. And now this kid is going to grow up bilingually at least, he will grow up speaking fluent English and fluent Polish. He may not ever have any desire to learn another language, who knows? He may on the other hand make a bunch of friends here in London from different countries and end up wanting to pick up Spanish Italian or whatever it may be. And yet here is someone who is going to grow up bilingually and many of us can only dream of and wish that we had, and yet he won’t think anything of it. He will grow up speaking two languages and he will just think, “Yes I speak two languages. So, what? Who cares? It’s just me and it’s just because my mum is Polish that is why I speak Polish”. Then I think of friends of mine who are Italian who grew up in the north of Italy and who live in close proximity to Spanish French German speakers. And because of the way that their parents were and the way they grew up they speak four or five languages very very well because they just used them all the time as a kid growing up. And then obviously with English and the kind of lingua franca of the world these days. For these people, they will grow up and before they even get to the age I was when I started learning languages they already speak four or five. It is a very very common thing. Now you would meet a person like that speaking five languages fluently and you'd think, “Wow that is really impressive. How am I going to do that?” and yet you ask them and they'll just be like, “Yes. I learnt them because I went to France when I was a kid and I learnt English at school. Yes, I didnt really think about it I just did it”. For someone in that situation yes, they are a polyglot in the true sense of the word. And yet they have probably never thought about it in those terms at all. They have probably never seen it as a particular accomplishment because it is just something that is normal for them. And yet for most of us to get to the point where we have learnt four or five languages and speak them fluently that is a major achievement and something that we will rightly be very very proud of. And yet isn’t it interesting how it would mean a totally different thing to us having learnt these languages as adults through a desire for self-improvement or self-enrichment or whatever to the person who has just learnt them naturally growing up as a kid because that is just the way things were. Thinking about all of this and what it means to be a polyglot and then coming back to the example of my hairdresser’s kid who is going to grow up bilingually, but likely won't think anything of it. You may be listening thinking well I am just learning my first foreign language. I know many of you have your mother tongue and you are learning a second language, it might be English it might be Korean, whatever it may be. And then for you the thought of learning say four or five languages might be rather irrelevant. You might think to yourself well what is the point? It would be nice but I don't really need to. I'm just trying to get to grips with this language, this first language that I am learning. And you've probably got a very good reason to do that, maybe you visited Korea or you did Korean at university and so you really fell in love with the culture and you want to learn that language, you are not thinking about anything else. Maybe you are living in the states in a Spanish-speaking neighborhood and you want to learn Spanish so you can communicate with other people around. Here is the point the languages mean something totally different to every single person and I'm kind of becoming more and more aware of this as I have the privilege of having this podcast and hearing from you, hearing questions and thoughts and feedback and observations. And really appreciating that for me in many ways language learning has been just a bit of fun and I've been lucky enough to have a good environment to learn languages in and having friends who can help me do that. But for many of you it is an extremely deep meaningful thing that you hold in very high regard in your life and you really feel that learning a language and mastering a language is a hugely important part of what you want to achieve as a person. So, when it comes to this question of what does it mean to be a polyglot or even the word polyglot itself. It’s something that for me I don't like it at all, I've got to be honest. I think its unhelpful in almost every situation. It can be used to put people on pedestals of different kinds whether or not they deserve it or have worked hard at it or just happened to have these languages as a result of their upbringing. More often than not there is a more negative consequence I think which is the people will instinctively compare themselves. They will think I only speak one language or I'm struggling with my first foreign language and this person over here speaks 20. It is just a very unhelpful concept I think. Its yet another label and I think we need fewer labels in general in society. And so, when all is said and done when it comes to this question of what does it mean to be a polyglot my answer is, whatever the hell you want it to mean. It doesn’t mean very much to me personally. And the reason is that whether you speak one language or 10 languages that is not the point, the point is how does that language that you learn or those languages that you learn improve and enrich your life. And if you can answer that question and you feel a positive improvement and benefit to your life of learning the language that you are learning then that is what matters and never let anybody else tell you otherwise and never ever let yourself feel in any way less accomplished because the person next to you has learnt more languages than you. Those are my thoughts for the day. All spawned from a random conversation about some kid growing up learning Polish. But it set me thinking and so hopefully this will resonate with on some level. If you have been enjoying the podcast would you consider leaving me a review on iTunes? I would be super grateful and probably buy you drink if we ever meet in person. The reviews on iTunes are really helpful because they let other people know about the show. If reviews are coming in, then iTunes promotes the show more and that is how more people find it. If you would like to help me out with that then please go to iTunes search for the podcast and leave me a review, I'd be extremely grateful. Likewise, if you'd like to ask me a question for the show then please go to iwillteachyoualanguage.com/ask and there is a place where you can do that. Likewise, if you would like to leave a comment or read along with the transcript of the show you can do that on the show notes, which you can find at iwillteachyoualanguage.com/episode177. Thank you so much for listening and I will see you in the next episode of the podcast.